As a modern start-up, MEElectronics is one of those few companies that are a shining beacon in the land of the tired old game of building new products. As we shall see in the history, this is a company that was founded out of nowhere and has become a favourite of many customers thanks to their overwhelmingly supportive company culture and a desire to become the best of the best without much in the way of multimillion dollar research or expensive components. 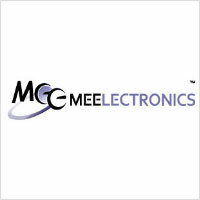 MEElectronics is a company that is based purely on what the customer would enjoy. As such they provide great products at competing prices that make people drop their jaws at the performance/price ratio. Their motto is “Musical Enjoyment for Everyone”, thus they strive in all of their product cycles to come up with easily marketable and easily buyable products that ensure that their customers are happy with what they spent their hard earned money on. The product line of the company is quite vast with EDM-specific earphones, wired and wireless earphones, over-ear, in-ear and circumaural cans as well as one of the industry’s most loved accessory and earphone toolkits. All of their headphones are known to be extremely durable, stylish without looking kitsch and tacky and above all affordable without sacrificing the amazing audio quality that they have come to be known with. Started in 2005 by S2E Inc., the company started off by retailing accessories for music players over eBay. Eventually the company decided on making its own hardware, bringing a great array of MP3 players to the market – players that were way more affordable than the reigning king of PMPs, the Apple iPod. However, MEElectronics realised that the MP3 player is only as good as the earphones that drive the sound from the device. Thus when they realised that the market did not have a very sturdy set of affordable earphones, the company set out to make it in 2010. With that shift in focus in 2010, the company set out to provide the ultimate sound for any price range. Something like the Monoprice earbuds, the company strove to make earphones and headphones that people would enjoy, marvel at the price and recommend to their friends. Additionally, the company also started supplying earphone accessory kits that were, again, quite affordable and durable. They supplied a fledgling industry gap with great transparency and quality, that helped propel the company to the place where it is today. MEElectronics spends a lot of time in its research iteration, launching a product only when they are very sure that it is the highest quality required by the market. To this end, the super cheap MEElectronics M6 noise isolating earphones represent one of the most exciting innovations from the MEElectronics stable. With all the frills of high end earphones available in this one, the sound quality is extraordinary for such a cheap earbud. Additionally, the comfort using the sports band and the memory wire is also at par with many expensive offerings. 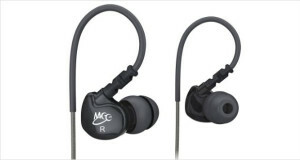 These are one of the finest earphones available from MEElectronics now.